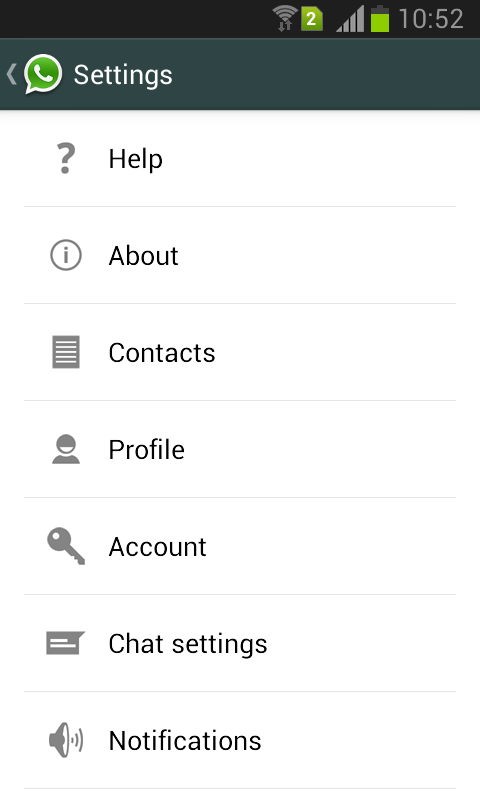 We all know that WhatsApp allows to send free messages to everyone who has smartphone with an app on it. These days, most of the businessmen also use this app to talk with their clients. Sometimes, they send long list of quotes on WhatsApp. If they want to use these lists offline then printing those WhatsApp messages could be a better idea. It is tiresome to open your WhatsApp every time for those quotes. This could also help if you want to lodge a complaint in police against someone who is threatening you on WhatsApp. Taking print out of those messages can help you lodge a complaint faster. 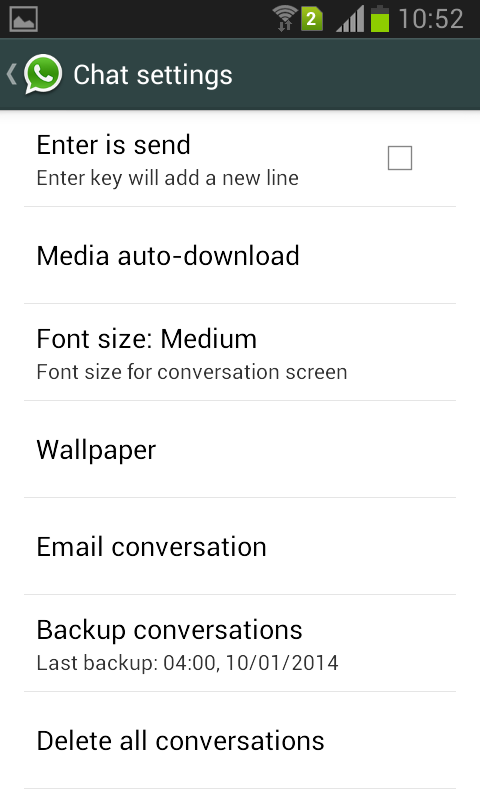 Step 1: Open WhatsApp on your phone and go to settings. 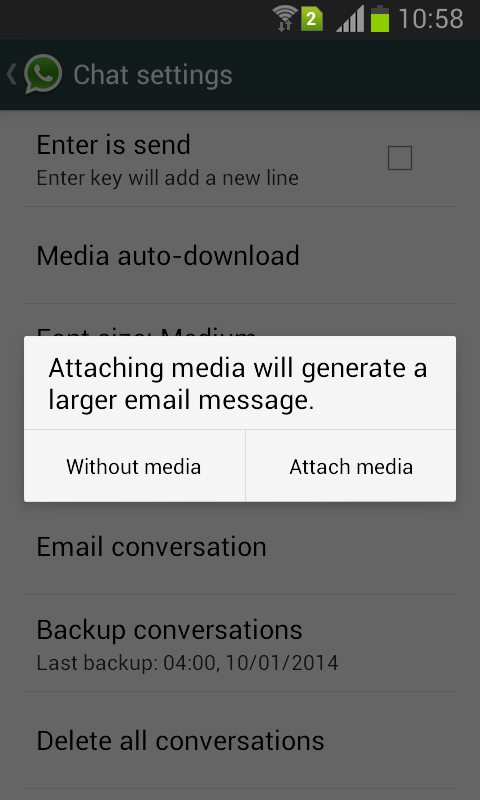 Step 3: Choose a chat from your WhatsApp inbox for which you want to take a print out. Step 4: Next select whether you want a conversation without media or with media (means you want images, audio and video to be included or excluded). 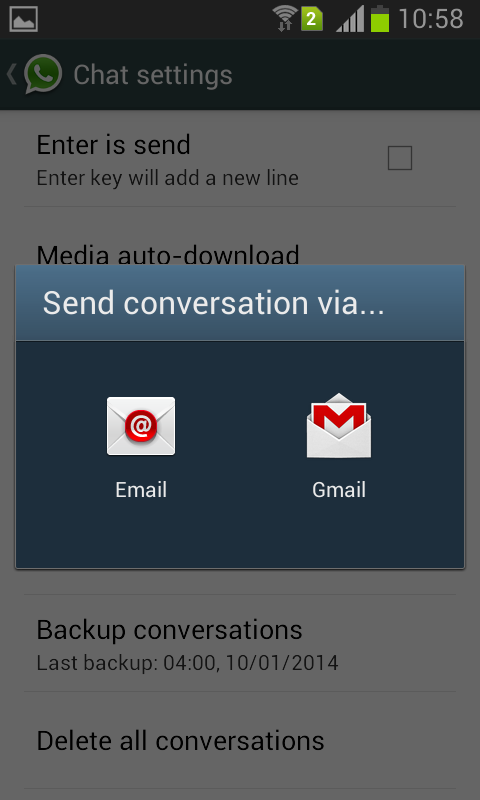 Step 5: Send a message to yourself through either gmail or any other email configured on your Android phone. Step 6: Open your email on PC and download the file which you have received in the message. Step 7: Open the downloaded file with the WordPad or any other program which you use and print it.